Well, hello there Motorola Droid 2. We would like to officially introduce you to the readers of Droid Life. We saw your activation screen just the other day, but we’ll admit that it’s nice to finally see the rest of you. What do you think everyone? Should we just sit back and gaze at it for a bit? Moment of silence for Droid 1? Throw a party? Be confused? Start saving? 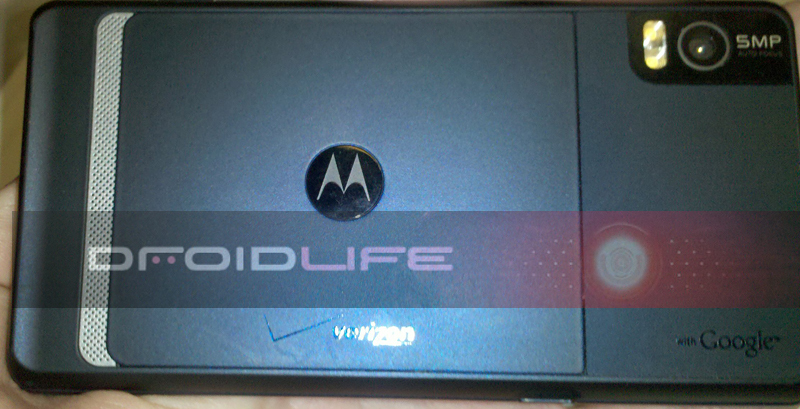 As you can see, externally, it looks almost identical to the Droid 1. The keyboard is really the only thing to have undergone a complete overhaul and now lacks that giant gold D-pad (which no one used) and includes some puffier looking keys. There are also some minor tweaks to the lip which is covered, giving off a slightly smoother appearance. The battery cover no longer has that fingernail insert. And that’s basically it for the outside. The Droid 2 is all about the internal specs and a new version of Motoblur which doesn’t appear to be quite as intrusive as the versions we’ve seen on the Devour and Backflip. I wish I had a release date for you, but at this time, nothing has been completely confirmed to us. The Q3 rumors for which peg both the Droid Xtreme and the Droid 2 to be launched on the same day still seem pretty likely to tell you the truth. One of our sources also informed us of a 3 hour long training session taking place on June 22nd for all retail employees which could mean training for these 2 new devices and Froyo. Yay! Thoughts? No HDMI port or front facing camera, but the internals should make it worth it right? 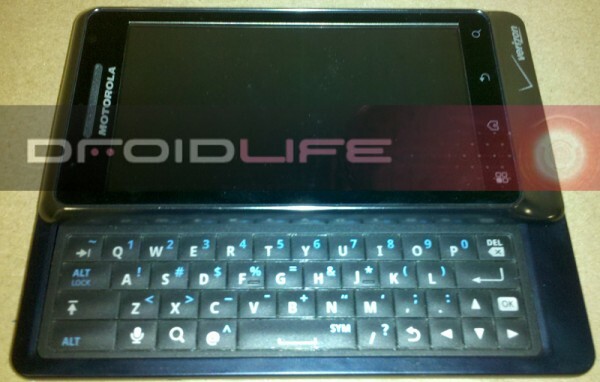 You all loved the Droid 1 styling so much and this is almost identical. Does that make it a must-have?